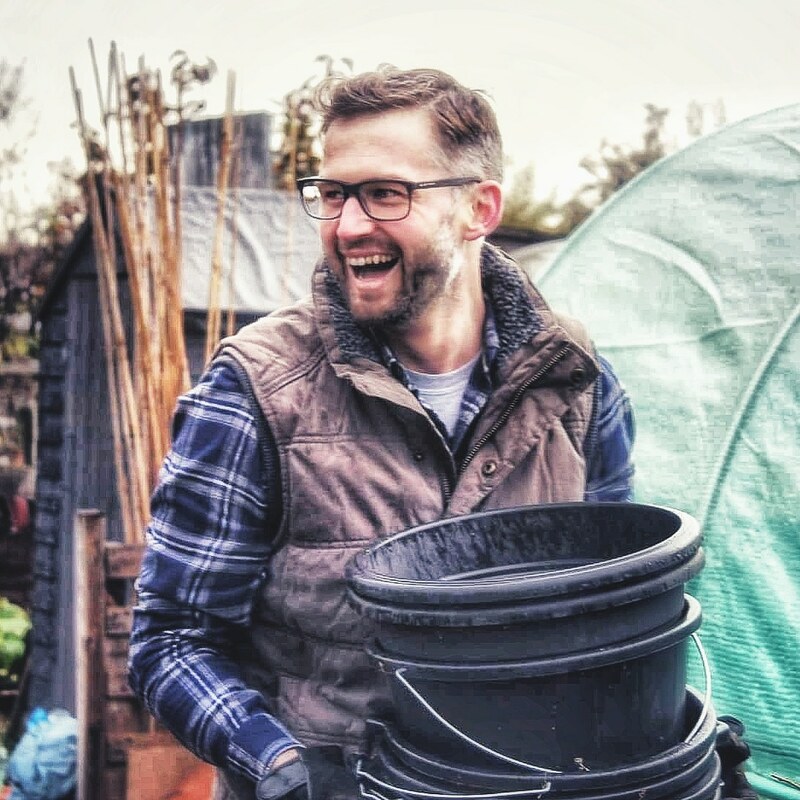 I’m a Grow-Your-Own enthusiast and blogger living in Cardiff, UK. I’m mostly found on our family allotment, wearing wellies and getting my hands dirty. When I’m not on the plot, I’m reading as many kitchen gardening books I can get my hands on, engaging with the gardening industry and looking for ways to inspire and support other people to grow their own fruit and vegetables. My seven-year-old daughter, Ava, loves spending time on the allotment too. It’s wonderful to see her excited about the crops we grow together. I want her to grow up with a strong relationship with food, understand where it comes from and be thrilled to eat it. I want other families to join in too. Growing my own fruit and vegetables began with a packet of tomato seeds, a pot and a tiny backyard and emerged from my passion for cooking. Through cooking, I learned a key lesson. It’s not the complexity of a recipe that makes for an excellent dish but the ingredients that are used to make it. One year, in early spring I threw a few tomato seeds in a pot and with little knowledge or experience, I waited to see what would happen. What followed became an obsession. In 2007, Carol Klein presented a 6 part series on the BBC – Grow your own veg. The series arrived at the right time. My passion for growing my own had developed further and when this programme arrived on the TV, I was hooked. I placed my name on the local allotment list and bought the book accompanying the series. I write articles on all matters of growing your own fruit and veg. I’m as passionate about the blog as I am about the allotment. Writing is a key part of my learning. I’m not a horticulturist and have no formal training. I’m just passionate about growing my own fruit and veg. I hope in some way it means I’m able to provide a different perspective on allotment gardening and inspires others to join in. I use organic principles. It has its frustrations but it’s also fun experimenting. It’s satisfying to get results without resorting to chemical management and control of the food we eat and the environment in which we grow it. I really enjoyed reading your post. It’s amazing how gardening can change people’s lives. It has been, and continues to be such a great pleasure in my life. It’s wonderful to find others with similar beginnings and interests. I am really happy to find your blog, I was looking only at your Instagram stories and photos. I have 7 years old son which he loves to be at allotment time with me at the allotment. This is exactly the way my father taught me to do things in Poland. I would like to learn about no dig method.